There may be plenty of home repairs that you can tackle on your own. You’ll probably do a great job and be safe with most of the maintenance around your home, but there are some repairs that are best left to the professionals. 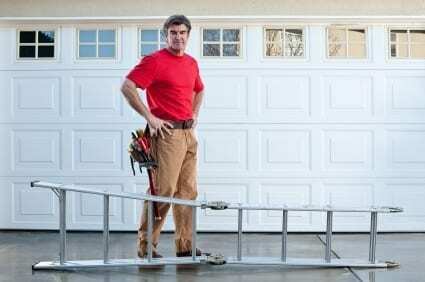 Before you attempt garage door repairs, take some advice from Action Garage Door. We’d like to help you stay safe! Replacing one or more of the panels on your garage door may look like a simple cosmetic fix, but there are plenty of ways that you could get injured. Between the downward force of the door and the danger of getting fingers or clothes caught between panels, there are several ways that you could get hurt. When the springs of the door aren’t working properly, the entire system may be messed up. Garage door springs are under a great deal of tension. You might recognize trouble when you make a visual inspection, but then contact a professional before you take any further steps. Without the tracks and rollers, you might have a difficult time getting the door to go up and down. When you attempt garage door repairs, such as replacing tracks and rollers, you might further bend and damage the metal. The bigger risk, however, is to your own safety. In order for your garage door to operate smoothly, the cables need to be maintained on a regular basis. They are under a lot of pressure as well. If the door were to fall, the weight could end up crushing anyone who happens to be under. The skill and experience required to provide this repair makes this a job for professionals only! The brackets at the bottom of the garage door are under a lot of tension as well. If they are loosened accidentally or inappropriately, the results can be very serious. These five garage door repairs are not safe to do on your own, so give us a call at Action Garage Door. Our numbers are: Dallas 972-299-980, Fort Worth 817-633-3119, Austin 512-213-4905, San Antonio 210-762-5331, and Houston 713-766-3422.